Thinking about today’s Gospel reading, I recalled - and then found! - some famous words of Fr Lev Gillet (1893 - 1980), who usually wrote as “A Monk of the Eastern Church”). In many ways he was a prophetic figure who simultaneously struggled with and luxuriated in the diversity of Christian witness in the world today. His first and greatest work, “The Jesus Prayer”, has inspired me since my youth. It remains a must for Christians of East and West who desire to grow in God. Of course, he was a man of the Tradition, and of the Sacraments. But there is certainly a dimension in what he says here that we do well to remember - and embrace - as we live alongside and share with Christians of other traditions. Where Jesus is, there is the Church. Whoever is in Jesus is in the Church. If the invocation of the Holy Name is a means of union with Our Lord, it is, also a means of union with that Church which is in Him and which no human sin can touch. This does not mean that we are closing our eyes to the problems of the Church on earth, to the imperfections and disunity of Christians. But we only deal here with this eternal, and spiritual, and "unspotted" side of the Church which is implied in the Name of Jesus. The Church thus considered transcends all earthly reality. No schism can rend her. 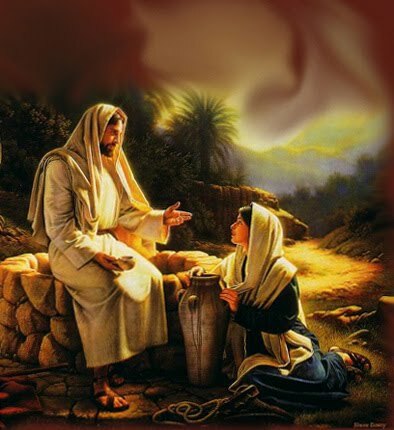 Jesus said to the Samaritan woman: "Believe me, the hour cometh, when ye shall neither in this mountain, nor yet at Jerusalem, worship the Father. 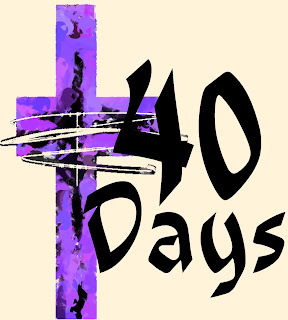 The hour cometh, and now is, when the true worshippers shall worship the Father in spirit and in truth" (John 4 .1, 23). There is an apparent contradiction in the words of Our Lord: how could the hour be still coming and yet already be? This paradox finds its explanation in the fact that the Samaritan woman was then standing before Christ. On the one hand the historical opposition between Jerusalem and Garizim still existed, and Jesus, far from treating it as a trifling circumstance, emphasized the higher claims of Jerusalem: 'Ye worship ye know not what. 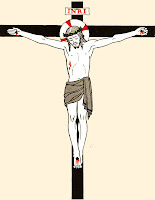 We know what we worship: for salvation is of the Jews" (John 4.22). In that sense the hour was not yet, but was still coming. 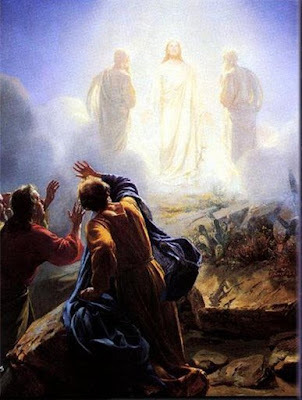 On the other hand the hour already was, because the woman had before her Him who is greater than Jerusalem or Garizim, Him who "will tell us all things" (John 4.25) and in Whom alone we can fully "worship in spirit and in truth" (John 4.24). The same situation arises when, invoking the Name of Jesus, we cling to His Person. Assuredly we do not believe that all the conflicting interpretations of the Gospel which we hear on earth are equally true nor that the divided Christian groups have the same measure of light. But, fully pronouncing the Name of Jesus, entirely surrendered to His Person and His claims, we implicitly share in the wholeness of the Church, and so we experience her essential unity, deeper than all our human separations. 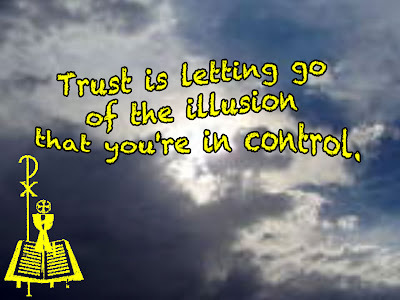 Back in 2004 David Mills wrote an article that deserves a wider dissemination, on account of the way that the layers of church bureaucracy and the manipulation of “representative” democracy in synodical processes is slowly strangling the people of God. (But don’t expect to see a copy of it in your diocesan mailing!) It should be said that David’s observations are not “Anglican specific”, as they apply across the board to all mainline churches. Of particular importance is David’s observation (at the end of the article) on the crushing impact of all this on the parishes and the truly pastoral clergy. David Mills is deputy editor of First Things, having been editor of Touchstone from 2003-2008. His books include: The Pilgrim’s Guide: C. S. Lewis and the Art of Witness (1999), Knowing the Real Jesus (2001) and Discovering Mary (2009). 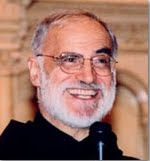 Former director of publishing at Trinity Episcopal School for Ministry, and member of the Forward in Faith North America Council before becoming a Roman Catholic in 2001, he regularly wrote the "Letter from America" for New Directions.
. . . Any revival in these (mainline) churches will require not the reform but the abandonment of the many layers of bureaucracy they have built up over the last few decades, giving the local bodies the authority to act as they think best and forcing the center to be as close as possible to the local bodies, in particular guiding, aiding, and inspiring them far less by law-giving requirements, for example – than by personal authority, and to rely for its support on the voluntary giving of the flocks it serves. 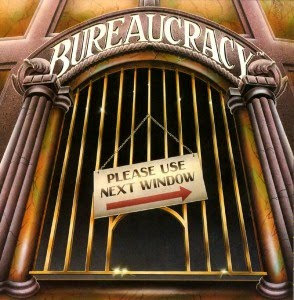 The resources and energy these bureaucracies consume (not only from those who work in them but from those who must spend time and money to oppose them) and the ends to which they direct their work make it harder for the churches to bring the gospel to the people who need to hear it, and make it much harder for the churches to say the clear word the culture needs to hear from it. Even at their best, they devour resources and energy that could be better put to local uses, and set the churches’ corporate witness and public agenda to reflect the bureaucratic consensus, which means a general and minimalist statement too indefinite to inspire and guide action. At their worst, they actively distort the churches’ witness and work by demanding too much of their resources and proclaiming an alien gospel. 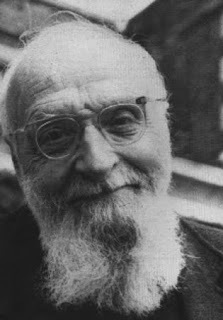 PAUL EVDOKIMOV (1901-1970) was a well-known writer, professor and lay theologian of the Orthodox Christian Church in France. Part of the Russian emigration in the aftermath of the Revolution, he became fully part of Western culture and life. His life experience was varied and wide-ranging, and included work in factories, rail yards and restaurants. For years he ran an ecumenical hostel for the poor, immigrants and students, thus bringing to his theological writing the Gospel's love for the world and Christ's compassion for the suffering. As professor of moral theology and St Sergius Orthodox Institute in Paris, a teacher at both the Ecumenical Institute in Geneva and the L'Institut Catholique in Paris, and official Orthodox observer at Vatican II, Evdokimov served as a bridge between the tradition of the Eastern Church and the Churches of the West. Atheism compels attention and impresses everyone by its massive diffusion. It is no longer the privilege of an enlightened minority, but expresses a norm common to all classes of society. A civilization has been consciously built on a refusal of God, or more precisely, on a negation of all dependence on any power beyond this world. In fact, science no longer has need of God as a hypothesis. Moreover, from the moral point of view, God seems not to be all-powerful since he does not suppress evil, or if he does not wish to do so, then he is not love. Built thus on a negation, atheism has no metaphysical content proper to itself and no constructive philosophy. Explicitly expressed, it still remains rare. Its dominant and widespread form is an atheism of fact, invertebrate but practical. Philosophic considerations intervene only afterward to justify attitudes or to provide an excuse. Its reasons are never truly rational, and they cannot be, for they fall short. Being of an empirical order, they are utilitarian and pragmatic. This explains why the problem at this level simply ceases to interest man. Since he is more concerned with economic and political questions, religious beliefs no longer mean anything to him. 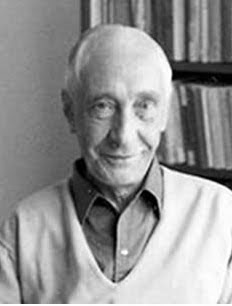 His attitude is strengthened by his often justified distrust of philosophers, who have abdicated and betrayed their social function by their own skepticism. St. Paul knew well what he was doing when he centered his teaching on what immediately aroused a reaction from the men who relied on discursive reason. Indeed the incarnation is always a folly and a scandal for human thought. The latter in its historic criticism demythologizes and distinguishes between the historic Jesus and the Christ rigged out in the dogmas of faith. The archaic state of knowledge in past ages makes every scholar mistrustful and little inclined to take into account a so-called “revelation”. They find no certitude at the outset of the alleged event and, in every way, a truth buried in the centuries is unacceptable to the contemporary spirit that is interested only in the here and now. One must choose between verifiable facts and texts visibly originating in a myth. To the atheist, it is inconceivable, even offensive, that God should enter into time and confide his truth to a handful of obscure disciples and to the precarious transmission of texts, written twenty centuries ago. 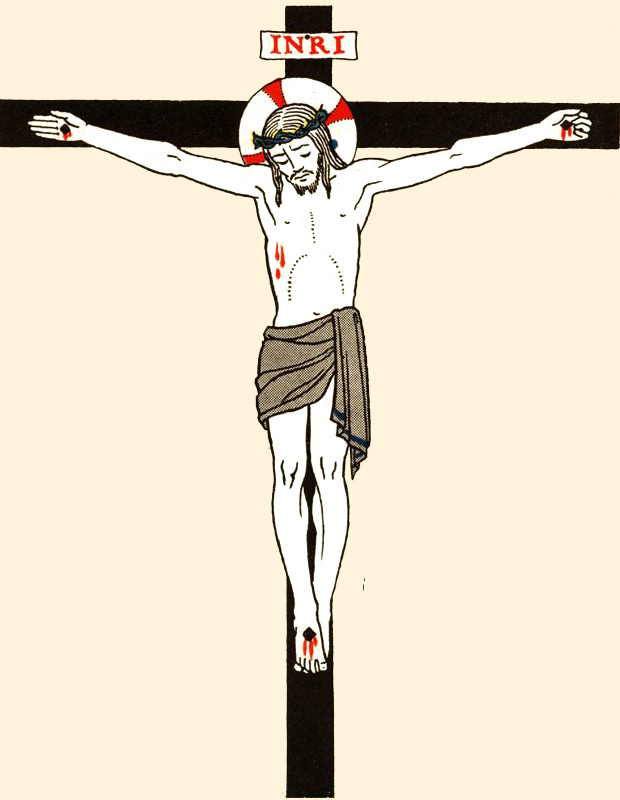 The life of Jesus shows only anecdotes and miscellaneous facts without any guarantee of objectivity. Can a contingent fact, scarcely remarked by historians, touch the heart of the man in the street in this 20th century? How can an event dated and fixed in time and space lay claim to an eternal value— the authority of God and the universal importance of the salvation of every man? There is here something monstrously out of proportion, even unbearable for critical reason. The man Jesus could very well have lived in Palestine. It is not so much his divinization by his disciples as the humanization of God that is declared impossible. A moral ideal, a philosophic concept could, if need be, receive the title of divine, but the philosopher refuses a God-man, refuses a God speaking as a human being and taking on the face of a man. Are ALL Creeds Wrong Because They Think They Are Right And Others Wrong? Don't say, "There is no true creed; for each creed believes itself right and the others wrong." Probably one of the creeds is right and the others are wrong. Diversity does show that most of the views must be wrong. It does not by the faintest logic show that they all must be wrong. I suppose there is no subject on which opinions differ with more desperate sincerity than about which horse will win the Derby. These are certainly solemn convictions; men risk ruin for them. The man who puts his shirt on Potosi must believe in that animal, and each of the other men putting their last garments upon other quadrupeds must believe in them quite as sincerely. They are all serious, and most of them are wrong. But one of them is right. One of the faiths is justified; one of the horses does win; not always even the dark horse which might stand for Agnosticism, but often the obvious and popular horse of Orthodoxy. Democracy has its occasional victories; and even the Favorite has been known to come in first. But the point here is that something comes in first. That there were many beliefs does not destroy the fact that there was one well-founded belief. I believe (merely upon authority) that the world is round. That there may be tribes who believe it to be triangular or oblong does not alter the fact that it is certainly some shape, and therefore not any other shape. Therefore I repeat, with the wail of imprecation, don't say that the variety of creeds prevents you from accepting any creed. It is an unintelligent remark. CAIRO, March 10 (Reuters) - Thousands of Egyptian Christians attended an emotional funeral service on Thursday for people killed in the worst Christian-Muslim violence since Hosni Mubarak was toppled from power. Six coffins lay by a church altar during the ceremony, victims of the violence on Tuesday in which 13 people were killed and 140 wounded. A seventh coffin arrived later. The strife poses another challenge to the Supreme Council of the Armed Forces, which says it wants to hold elections within six months so it can relinquish power. A new cabinet, meeting on Wednesday for the first time, decided it would redeploy on Thursday the police force which largely disintegrated in the first days of the uprising that swept Mubarak from the presidency last month and left the military in control. 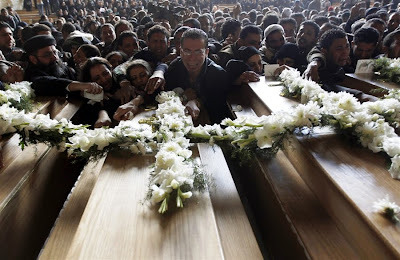 "We will sacrifice our souls and our blood for the cross," a crowd of mourners chanted at the end of the service as they poured out of the Samaan al-Kharaz Church, built in a cave above the Cairo slum of Manshiet Nasr. Some held aloft signs with slogans that included: "No to sectarianism, no to murder," and "Farewell to the martyrs of Christ." The trouble on Tuesday began on a Cairo highway where Christians had been protesting over an arson attack on the church south of the capital. A number of activists have called for a march on Friday from Cairo's central Tahrir Square, the epicentre of the protests that ousted Mubarak, to show solidarity with Egypt's Coptic Christians. Many Egyptians took pride in the Christian-Muslim solidarity displayed during the revolution that toppled Mubarak on Feb. 11 and hoped the uprising had buried tensions that have flared up with increasing regularity in recent years. Twenty-three people were killed in a blast outside a church in Alexandria on New Year's Day, prompting protests by Christians that the state had failed to protect them. It was not clear how many of the dead from Tuesday's violence were Christian and how many Muslim. The Muslim Brotherhood, an Islamist group and Egypt's best-organised political force, warned of attempts by remnants of Mubarak's regime "to ignite strife in these delicate circumstances". Brotherhood leader Mohammed Badie called on Egyptians to stand in "one line to support the armed forces and the cabinet so they will be able to realise the demands of the revolution".